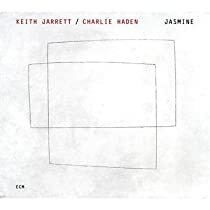 Jasmine first registered trademarks of Keith Jarrett cooperation in different decades with his trio standards and combines it with the great bassist Charlie Haden, a close partner of the mid seventies. Intimate, spontaneous and warm, this album Love Songs on the home page of Jarrett record disposition, in its directness, intact, with his solo collection The Melody At Night With You. These ideas are deep, every listener "to your wife or husband or lover to inspire conversations late into the night, as Jarrett says in his liner notes:" This great love songs of players who try, usually in the news Games be kept intact. "The program includes classics such as Jasmine on" Body and Soul, "" For All We Know "," Where can I do without you, "" Do not Ever Leave Me "and a rare contemporary pop song Jarrett treated" One Day I Fly will play Away. " Jarrett, Haden and the music and nothing but the music - as only they can. Keith Jarrett in the liner notes, says: "This is a spontaneous music on the spot without any preparation, save our commitment in the course of our lives, we will not replace ... These are love songs to play to the player attempt, usually hold the post. "